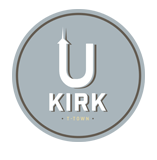 UKirk (literally meaning University Church) is the Presbyterian (USA) college ministry in Tuscaloosa, part of a larger network of PC(USA) campus ministries that seeks to reach, teach, and love college students. 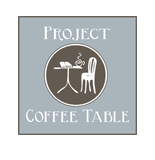 We are a ministry of First Presbyterian Church in Tuscaloosa. Absolutely. At UKirk all students are welcome — no matter what you believe, no matter your background, politics, or opinions. We believe in sharing life together. So, You Worship? At A Coffee Shop? Yes– we worship! Every Tuesday night at 6:38, actually. Worship with us is different than what you may expect. We’re really low key, and intentionally so. Our music is laid-back. Our ‘sermons’ are part of a larger conversation. And we eat dinner right after we worship! So, if you’re looking for something different, come give us a shot. We’re just a funky little community downtown who strives to worship God in different ways! You can contact UPerk Director/UKirk Campus here, or you can take a look at our Facebook Group or Facebook Page. You can also follow us on Twitter @BamaUKirk or Instagram @ukirkua! Want to know more about UKirk? Check out these links!